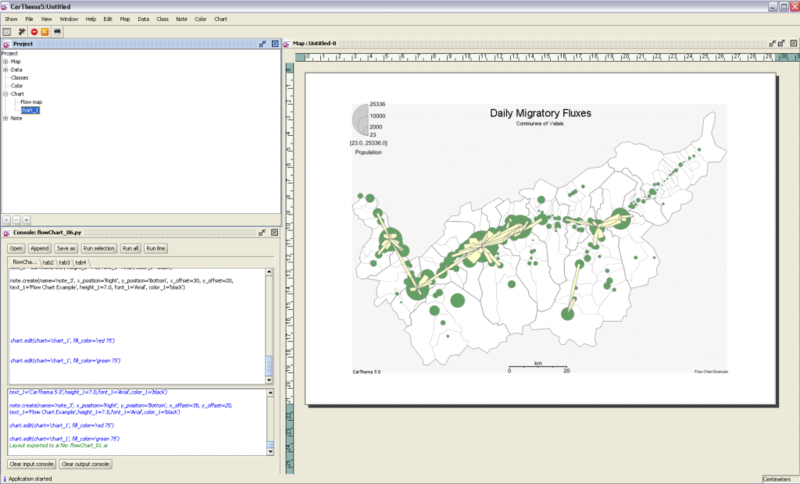 Migration of an application for releasing thematic charts from Delphi to Java. 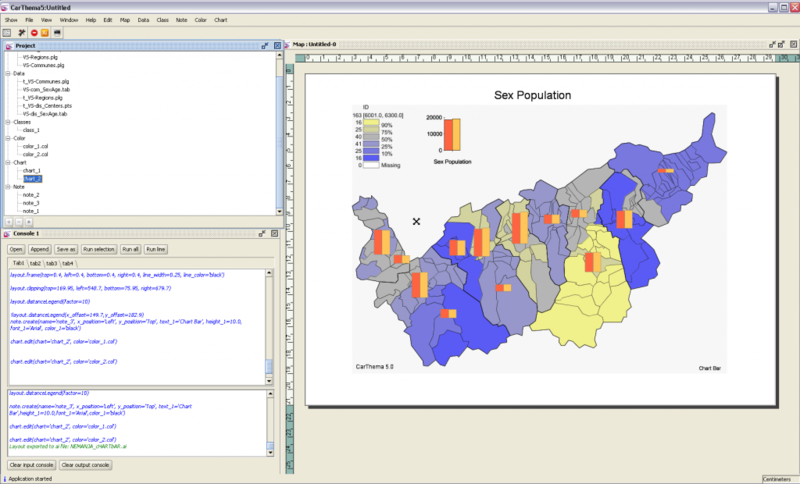 Migration of an application suitable for releasing thematic charts from Delphi to Java. 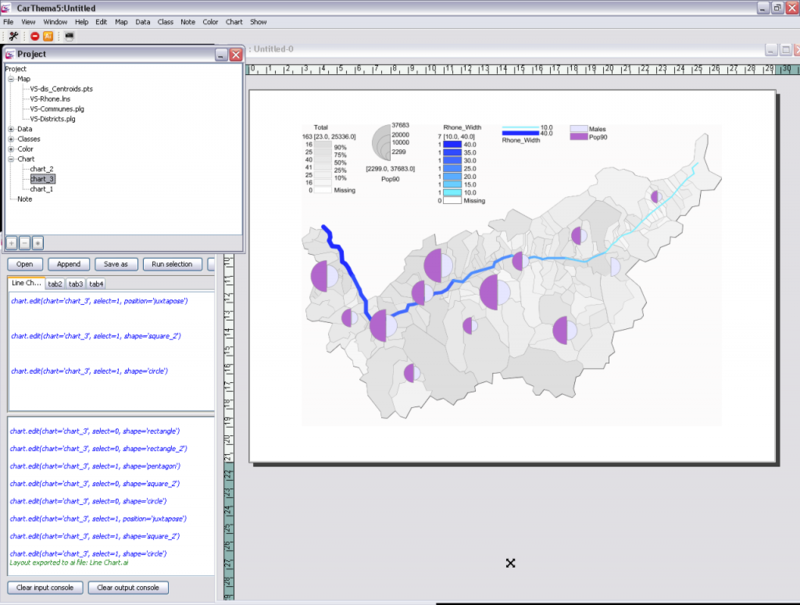 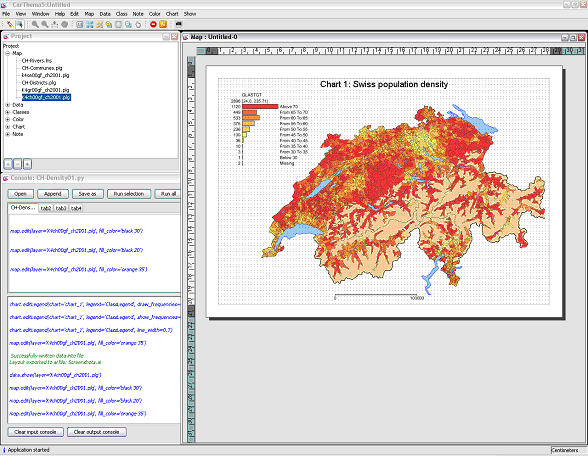 The solution was implemented as a gvSIG plugin. 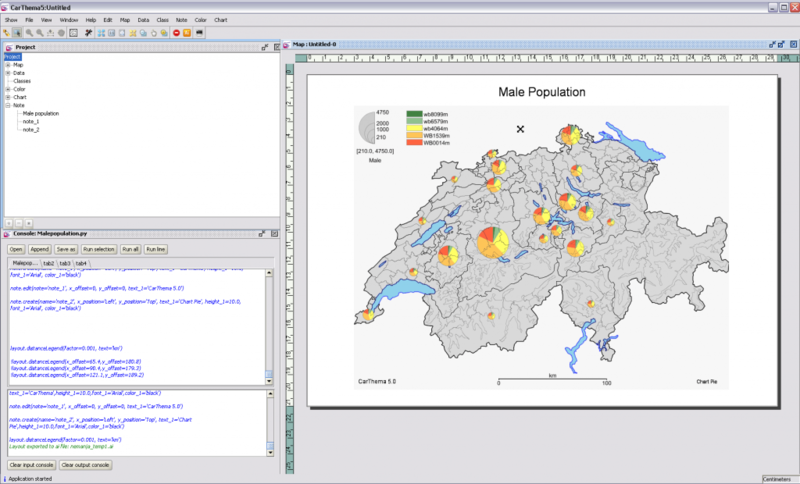 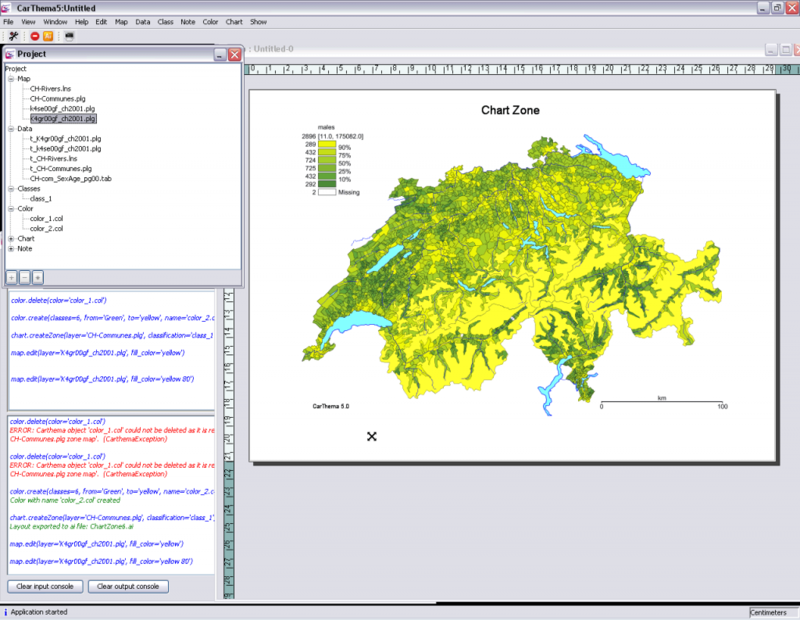 Specific stress in the application was to exploit the scripting capabilities of gvSIG and its Python console. 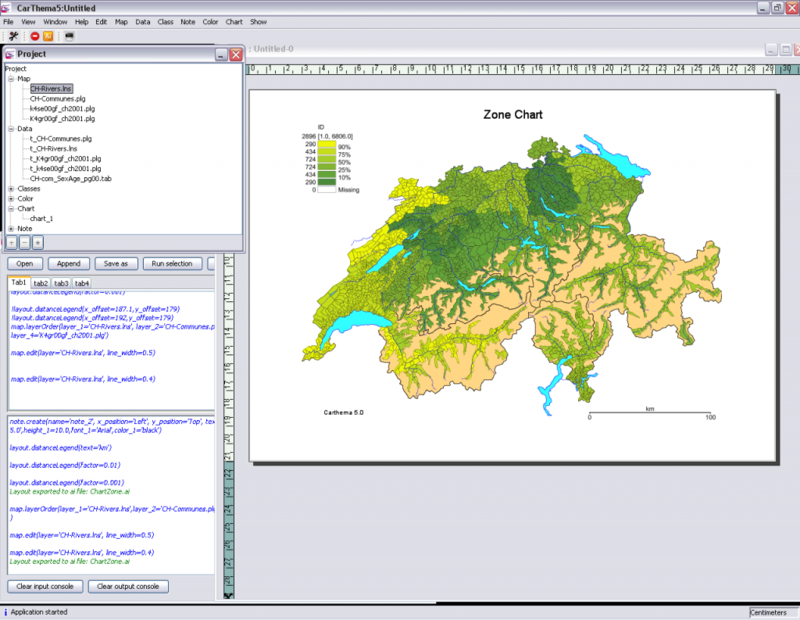 Each GUI action performed by the user is covered with appropriate scripting code.